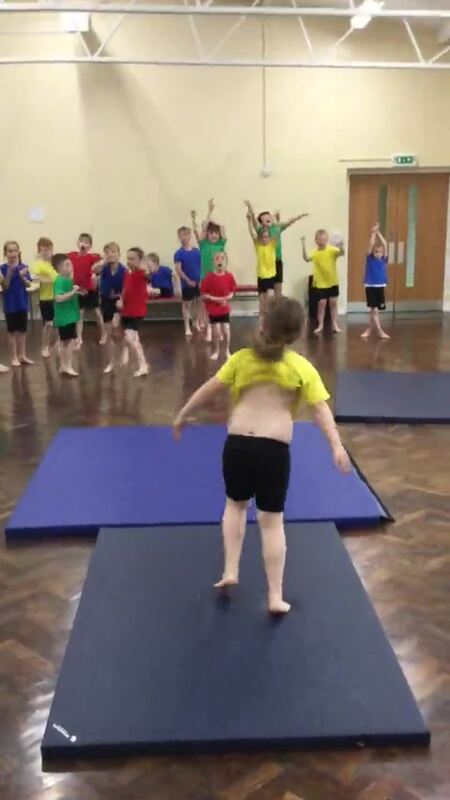 At Kexborough Primary School, we take PE and School Sport very seriously. All children are able to receive high quality PE lessons with a range of extra curricula activities ran throughout the year. With the recent inclusion of the "School Sports Premium" (see policies section) we have been able to obtain some fantastic new sports equipment enabling children to be able to succeed in PE and help generate the 'Physical Literacy' needed to be able to leave Year 6 at a national standard. Through TEAM ACTIV, Kexborough take part in several sports competitions throughout the year in a range of sports including: football, cricket, netball and many more. After every event, we will try to blog to show you how the event has gone. Over the next 2 weeks, children in Year 5 (and 1 child from Year 6) will participate in Bikeability. Bikeability is like cycling proficiency, but better! It's about gaining practical skills and understanding how to cycle on today's roads. There are three Bikeability levels, each designed to improve cycling skills, no matter what is known already. Using money from our Sports Premium PE Funding, we have required the skills of Team Activ practitioners. This will allow the children to have access to high quality PE lessons and will also help the teachers up-level their own skills of teaching PE. I am looking forward to adding more pictures over the following few weeks. All of the children looked like they really enjoyed it in the first week. Today, we attended the Y3 and Y4 Athletics tournament at Barnsley College. All children were a credit to the school and worked really well on each of the activities. Even though we didn't win, I was really impressed with the skills shown and hope to perform even better at other competitions. Below are some photos we managed to take in some of the less busy activities! Yesterday, we attended the the Y3 and Y4 football tournament at Horizon. I was a bit worried before going as we have not practised much as a team. I had faith in the Year 4's though as they worked hard in PE the previous year when we looked at the skills of playing football. I also knew that we had some talented football players in Year 3 who play for teams outside of school. Our blue team played extremely well and drew two games 0 - 0 and won the other two games 1-0 and 2-0. In total, we did not lose a game and we did not concede a goal. Unfortunately, another team in our league won 3 games and lost 1 so they beat us by 1 point and it was only the top team in each league that went through to the semi finals. Ironically, we had beaten the team that won our league which was quite hard to take. All of the blue team played really well all day and worked really well as a team. One player that stood out for me - over everyone else there - was Benjamin. His strength and pace was extremely impressive and he was very calm in defensive situations. Him and Archie became an impenetrable wall at the back. Kacey, Gabriel and Alfie played really well in midfield getting in space and passing it well. Kacey was really determined to get stuck in and never took a backwards step. Gabriel took some fantastic corners and led the team as the captain. Alfie moved well and got a well-deserved goal. Riley (striker) was always getting himself in some fantastic positions. He was unlucky not to score about 4 goals. There was a lot of potential in this team and I am looking forward to them reaching the Y5/ Y6 team. The red team were unlucky on the day. There was a late withdrawal from one of their players so they attended with only 6 players. With other schools refusing to take a player off, it was always going to be a hard day at the office. They played 4 games, narrowly missing out in three of them. They did manage to get a draw though which made them finish 4th in their league and not bottom. They all gave 100% and I was impressed in the 3 games that I saw of them. Our goalkeeper made the save of the day even if he did do it with his head. Bradley and Sam never stopped running and looked strong all day. Nandos played really well and tackled well. Callum played really well at the back continuing his good defensive work that he started at benchball on Tuesday. The biggest commendation needs to go to N though. He got stuck in all day despite the fact that he was constantly getting hit by the ball. He never gave up; he never gave in! Yesterday, 24/10/17, we attended the Year 3 and 4 Benchball tournament. Unfortunately, as Year 3 were on a school trip, we had a slightly weakened team. However, that did not stop us. Our A team won all 3 games: 6-3, 13-0 and 8-0. I was especially happy with our defence. 2 children that really impressed were Riley and Gabriel. Riley was so tall that whenever a ball was thrown in the air, he was always the first child to get there. The B team also played really well. They started slowly in the first two games suffering 2 loses, however, in their final three games they were much improved and played really well as a team even managing to get a win against a good team. I don't believe there are any finals which I am disappointed with as I thought this was our most impressive performance since I have arrived at KPS. The boys attended a football tournament at Horizon on Monday the 16th October. We took two teams with a total of 19 children. Our blue team competed very well and won 2 matches 3-0 and 2-0 and drew the other match 0-0. I was really happy with them keeping clean sheets the whole day. This shows just how strong our defensive systems are. Top scorer for the day was Danny with 4 goals and Shylow added 1 more with his head. We still need to improve further by being more clinical in attack by spreading out more and not crowding round the ball. We must also ensure that we score the important goal as our 0-0 draw could have made us miss out on potentially getting through. We had amble chances to be at least 3- up. Fortunately, we have manged to get through and will be playing in the Barnsley finals in early November. The red team improved dramatically throughout the day. They lost their first game 3-0 but in the second game they just missed out in a narrow 1-0 defeat. In the final game, they were able to draw 0-0 which was a fantastic achievement. They played much better and worked really hard as a team. A change of tactics from Mr Edwards switching the keepers over really helped to build up the resilience of the defence. On the 11th October 2017, our school went to Rabbit Ings to compete in a cross country event. I was so proud to see 58 children taking part in the event which was over half of all of the children in Key Stage 2. Well Done to everyone! This shows the impact that the daily mile has been having. In addition to the fantastic participation numbers, we also attained very well within the competition and have manged to secure 13 finalist places for children that finished in the top 10. In total, we had 4 1st place finishes and 3 2nd place finishes. As part of Joe Wicks' attempt to get 1 million children participating in exercise, our school will be joining him everyday at 10am to complete his various workout types. 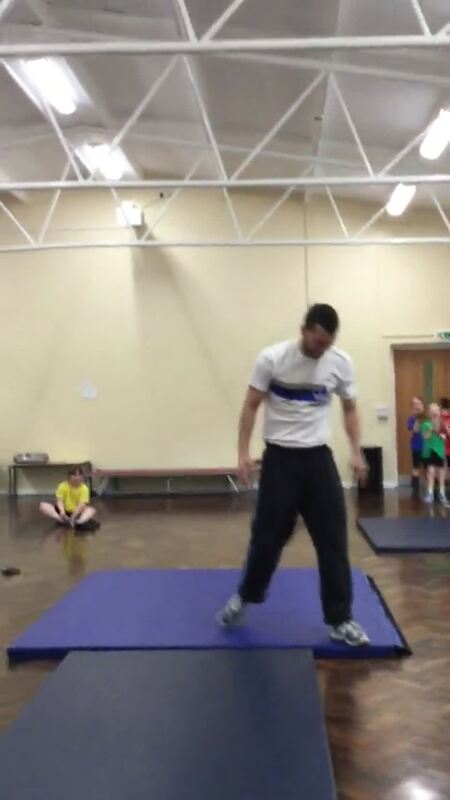 On Monday, Mr Brocksom's class and Miss Field's class took part in the challenge. Most of the children really enjoyed it but some found it quite difficult. 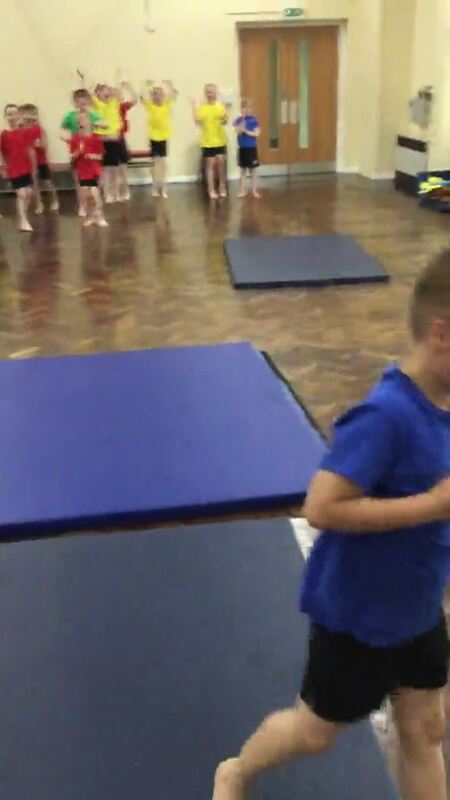 For myself, it was fantastic to see all of the children giving 100% and making a change to their bodies. It is so important to keep fit and healthy as this will help you in your everyday life and will make you feel a lot better about yourself. It will also reduce many risks of getting certain health problem as you grow older. KEEP IT UP KEXBOROUGH! A huge well done to our children who went to orienteering at Locke Park. Firstly, their behaviour was fantastic again. Also, we managed to win first and second place for the Year 6 mixed groups! Superb Kexborough! Well done! Today, 8 of the Year 5 and 6 children went Kexborough Cricket. They behaved really well and played their best. Unfortunately, they did not win, however, they were really close and were just pipped at the post by an outstanding one handed catch on the last bat. Unlucky Kexborough! 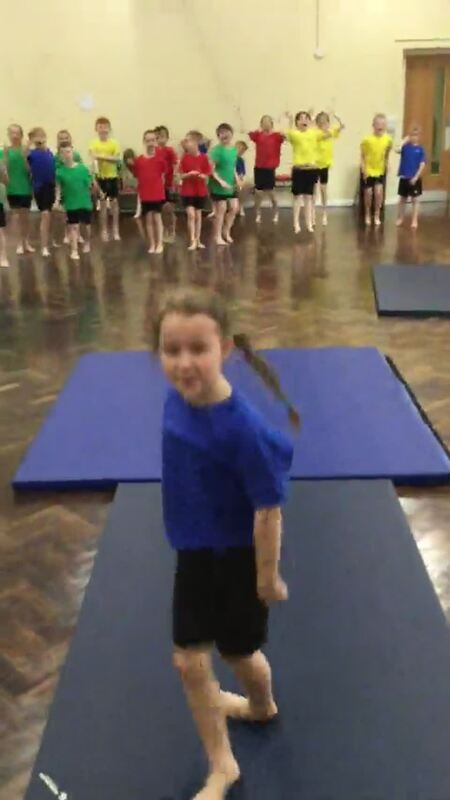 We have been completing gymnastics in PE and we have been looking at different rolls. Below are some videos of what we have done. We really enjoyed getting behind each other and cheering everyone on! A huge congratulations to everyone as the standard has significantly improved since the start of the term. I am extremely proud of one person who really struggled with forward rolls at the start of the term but now is a master! Great work Year 3! 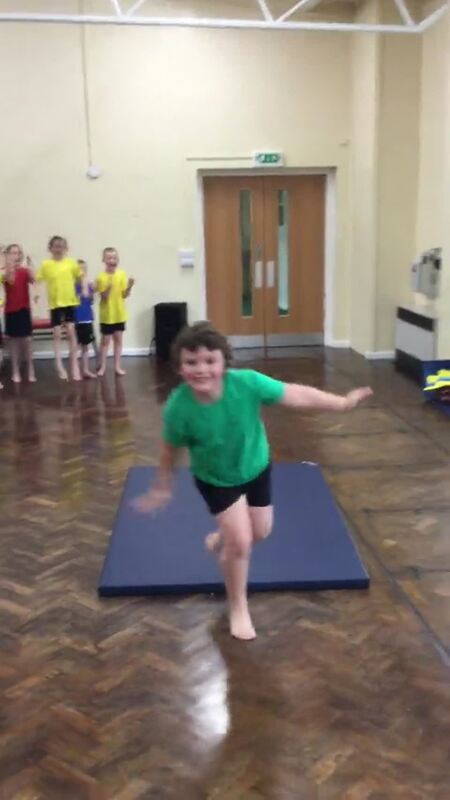 We have been taking part in gymnastics this term in PE and we have been looking at different types of travel on different levels and different balances. Below are some examples of our partner balances. We really enjoyed doing this! 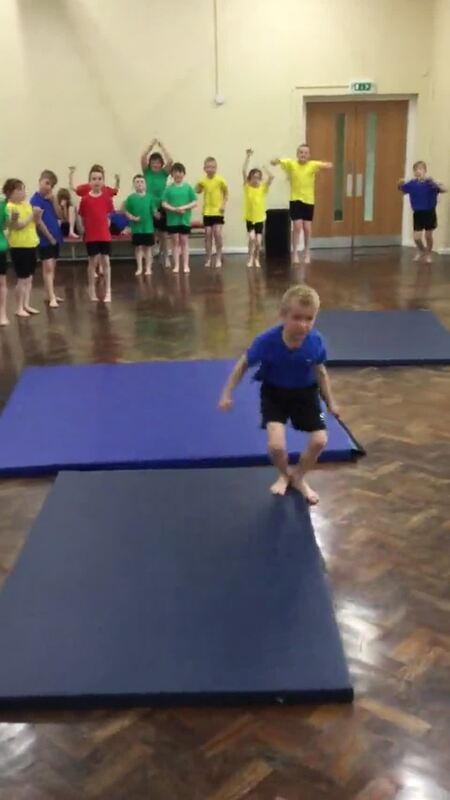 Today, as some of the children were out at a competition, the remaining Year 5 and 6 children had a joint PE lesson. Below are some of the pictures of a fun warm up game that they were playing. There's nothing better than PE in the sun! In Year 3, we have been looking at basketball in PE. We have been looking at the skills of dribbling and the techniques for completing it successfully. We start every PE lesson with a fun warm up game. Today, we played cones and gnomes. On Monday 13th March, children in year 1 took part in Multiskills competition at Barnsley College. The children showed great determination, team work and lots of perseverance. All the children did Kexborough Primary School really proud and to top it off one of our teams (who named themselves "The Cheetahs") came 3rd out of approximately 20 teams! An amazing achievement!!! On Wednesday 1st March 2017, children across Key Stage 2 went to Cannon Hall to take place in the Cross Country Finals. All of the children did so well to even be able to attend this event as they had to come in the top 10 of their qualification event at Rabbit Ings earlier in the year. The different year groups had to each run different distances. The Year 3 children had to run 700m, the year 4 children had to run 900m, the Year 5 children had to run 1,300m and the Year 6 children had to run 1,600m. As you can imagine, this is not easy to do! I am really proud to say that every single person completed the race and that nobody quit. On Monday 30th January 2017, our Year 4's and 5's took part in a futsal tournament. There were some great performances throughout the day and some special mentions must go out to: Shylow, Aaron and the 2 goalkeepers. There is a lot of potential in these two teams and I am looking forward to them becoming Year 5/6 and joining together to make the new school football team. Even though we were unable to qualify to the semi finals, I am still happy with how both teams played. On a cold and drizzly January afternoon, Shawlands made the journey to take on Kexborough Primary School as part of the Year 5/6 football league. It was always going to be a tough match in the conditions but the Kexborough team went into the game with high expectations. With recent newly appointed captain , Kai, in the goal we knew we would be tough to break down. The Kexborough defence started tough with Bailey, Ben and Lucas holding strong and keeping out the Shawlands' onslaught. Caleb and Cameron were working hard in midfield but sometimes found themselves with too much to do and not enough support. Shylow was having some good touches and played well (as always) on the left hand side. Danny was as enthusiastic as ever upfront and worked tirelessly up and down the pitch trying to help the team regain possession. Finlay was making some good runs in the role of striker but was unable to make any of the chances count. After about 12 minutes, the Shawlands' midfielder made a break down our left hand side and crossed it in to find the striker and it was a simple tap in. Towards the end if the half, Shylow went close but just scooped the ball over the bar. It was halftime. We were 1-0 down. At halftime, Mr Brocksom spoke to the team about how happy he was with the performance especially the pressure that our defence was putting on them. The subs came on: Aidan for Ben, Jake for Bailey and Kye for Finlay. The second half started and after a short goal kick went wrong, Shawlands capitalised with a quick goal. Kexborough were able to regain their composure and start to get a foot hold into the match. Kye was starting to look quick after coming on and was finding himself in some good positions with Caleb, Cameron, Danny and Shylow pushing up well in support. Shawlands then got a patch on possession but due to some good saves from Kai, some good defence from Lucas and some lucky rebounds off the post, they were kept to just the 2 goals. As the game was coming to a conclusion, Shawlands were able to score one final goal to make it end 3-0. Overall, it wasn't the score that we wanted however the team played well. We must work on our ability to get into space and passing when our team has possession so it is not just 1 man football. Also, we must look at our defence and not jumping in to tackles allowing the opposition to knock it past us and break. We have our final league match next Friday 10th February. Hopefully, we can put things right and meet our team targets. The team will be posted on Friday on the school website.